For forty years, as our ancestors traversed the Sinai Desert, following the Exodus from Egypt, miraculous "clouds of glory" surrounded and hovered over them, shielding them from the dangers and discomforts of the desert. Ever since, we remember G-d's kindness and reaffirm our trust in His providence by dwelling in a sukkah--a hut of temporary construction with a roof covering of branches--for the duration of the Sukkot festival (on the Jewish calendar Tishrei 15-21). For seven days and nights, we eat all our meals in the sukkah and otherwise regard it as our home. Another Sukkot observance is the taking of the Four Kinds: an etrog (citron), a lulav (palm frond), three hadassim (myrtle twigs) and two aravot (willow twigs). On each day of the festival (excepting Shabbat), we take the Four Kinds, recite a blessing over them, bring them together in our hands and wave them in all six directions: right, left, forward, up, down and backward. Our sages in the midrash tell us that the Four Kinds represent the various types and personalities that comprise the community of Israel, whose intrinsic unity we emphasize on Sukkot. The central element for the celebration of the Feast of Tabernacles is the booth we call the sukkah. While you may want to use the rabbinic description as a guideline , you should not forget the freedom to construct this booth as you see fit. As with all biblical holy days and customs, the sukkah is a "shadow" of the greater lessons of the coming Messiah (Colossians 2:17). As previously noted, traditional Jews begin constructing the sukkah immediately after breaking the fast of Yom Kippur. Many Messianic Jews and Gentiles follow this custom by inviting people over for a "Sukkah Decorating Party," and planning for the upcoming holy day begins in earnest. As mentioned before, the seventh day of the festival has much spiritual significance for believers in Yeshua (see John 7:37 and following verses). However, as we reach the eighth day, we come to a special holiday, Shmeni Atzeret (literally, the Eighth Day of Assembly). As mentioned in Leviticus 23:36, this day is to be set apart as a Shabbat and a holy assembly. Most traditional synagogues and messianic congregations have special services to remember this time. Messianic Jews and Gentiles are continually looking for the higher spiritual lessons of God's appointed times. Why would God command a special memorial on the eighth day of Sukkot? Besides being the close of the festival, this day may contain a connection to the life of Messiah. If our theory that Yeshua's birth took place on the first day of Sukkot is correct, was there anything that took place on the eighth day? Any good Jewish parent could tell you! On that day, Jewish baby boys take the sign of the Abrahamic Covenant through circumcision (Genesis 17). So, too, with Yeshua. On the eighth day, when it was time for his brit-milah, he was given the name Yeshua, which is what the angel had called him before his conception (Luke 2:21). Believers in the Messiah have good cause to remember Shmeni Atzeret. Truly Yeshua "became a servant of the Jewish people in order to show God's truthfulness by making good his promises to the Patriarchs" (Romans 15:8). If these festivities are not enough, the Jewish community has added an additional ninth day to Sukkot called Simchat Torah (Rejoicing in the Law). As it's name implies, this day celebrates the revelation of God as symbolized in the Torah scroll. It is a time of tremendous joy, with dancing and lively music. A central part of the service is the reading from the last chapters of Deuteronomy and the start of the yearly cycle all over again with the first chapters of Genesis. Although this holiday was created in the Middle Ages by rabbinic Judaism, believers in Yeshua can surely affirm the idea behind it. God's Word is good. It is to be revered. It is even to be joyously celebrated! How much more so for followers of Yeshua Ha Mashiach, the Word who became flesh at this time of year! With the close of Simchat Torah, we reach the end of the high holy day season. What wonderful truth is evident! What a complete picture of the latter-day plan of God for this world. Sometime soon the shofar will sound to announce the regathering of believers. This is to be followed by the solemn Day of Atonement when Yeshua will return for a second time to the earth. This, in turn, will lead all believers into that joyful celebration of the Kingdom of God at Sukkot! May we be ready to dwell in that holy habitation of our heavenly father. This morning and the last few mornings as I pray, I'm really feeling Yeshua emphasizing how important it is to be born again. We believers tend to take this for granted, and I personally know many 'Christians' who profess to be born again, but I don't believe have any idea what that really means. Their fruit is definitely rotten. Are we guaranteed entrance into Heaven if we believe in Yeshua, but aren't doing our best to live in His image and likeness every single day? If we simply go to a church, follow rituals or traditions, give to charities, read our Bibles sometimes, does this mean we are going to Heaven? I dare say, and this is not my opinion, that we are not! As serious as this may sound, the Word explicitly tells us we 'must be born again to enter Heaven'. So I ask you. What does this mean? The Word also tells us if we profess with our lips but our hearts are far from Him, we are not living in the Holy Spirit. We must look at our fruit! By this, I mean simply, what are you like to be around? Are you constantly negative? Demeaning? Do you pass guilt on to others? Condemnation? Are you bitter about things that have happened to you in your life? Do you harbor unforgiveness all the time for wrongs committed you? Are you bitter about anything? Prideful? Do you carry that with you in every conversation? Are you always regretting past decisions, mistakes, or choices, and bringing into your everyday dealings with others? Because if you do any of these things, your fruit is rotten, and you are not walking with the Holy Spirit living inside of you, which means you are not born again. Think about how people react to you. Are you someone that people want to be around? Spend time with ? Or are you alone much of the time, feeling as if you are removed from relationships? What does your fruit look like? We are called to be uplifting or edifying, joyful, full of love and compassion and mercy, and doing our utmost to lift others up. So if people are walking away from you feeling the opposite, you have to ask yourself seriously, what I am not seeing? Let us all examine our consciences and ask the Holy Spirit to tell us how we are perceived by others, and whether we have good fruit, or whether our fruit is rotten and infecting others we spend time with. Being born again is a decision, and it must be made every day, and in every moment. We are the ones who chose to walk in light and not darkness. It will never be forced on us. This is so important. Please be in prayer and ask yourself and the Holy Spirit, what is my affect on others? Am I bringing them Yeshua and the Kingdom? Or am I bringing them darkness and death through my words, actions, attitudes, or deeds. It matters more than you may think, the answer to this question. Yeshua needs those who walk in love and humility for these end times, producing good fruit, and carrying His light. Will you ensure you are one of the chosen? Tomorrow is the Day of Atonement, it actually starts tonight at sundown and ends tomorrow at the same time, Yom Kippur, is the only biblically required day of fasting. 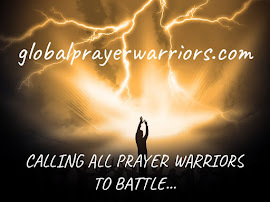 Please join me in prayer and fasting as we fall on our knees and ask repentance from our Heavenly Father. So much is going to befall the world, and when it happens, it will all seem so fast. We must be spiritually prepared. We must pray and walk in His authority. iniquity, and have done wickedly, and have rebelled, even by departing from thy precepts and from thy judgments: Neither have we hearkened unto thy servants the prophets, which spake in thy name to our kings, our princes, and our fathers, and to all the people of the land. O Lord, righteousness belongeth unto thee, but unto us confusion of faces, as at this day; to the men of Judah, and to the inhabitants of Jerusalem, and unto all Israel, that are near, and that are far off, through all the countries whither thou hast driven them, because of their trespass that they have trespassed against thee. O Lord, to us belongeth confusion of face, to our kings, to our princes, and to our fathers, because we have sinned against thee. To the Lord our God belong mercies and forgivenesses, though we have rebelled against him; Neither have we obeyed the voice of the LORD our God, to walk in his laws, which he set before us by his servants the prophets. Yea, all Israel have transgressed thy law, even by departing, that they might not obey thy voice; therefore the curse is poured upon us, and the oath that is written in the law of Moses the servant of God, because we have sinned against him. And he hath confirmed his words, which he spake against us, and against our judges that judged us, by bringing upon us a great evil: for under the whole heaven hath not been done as hath been done upon Jerusalem. US President Barack Obama said Sunday night, Sept. 23 on CBS “60 Minutes” that he understands and agrees with Netanyahu’s insistence that Iran not be allowed to obtain nuclear weapons as this would threaten both countries, the world in general and kick off an arms race. But he then added: "When it comes to our national security decisions – any pressure that I feel is simply to do what's right for the American people. And I am going to block out – any noise that's out there." So, consultation? yes; cooperation? forget it. His comments removed the last hopes Prime Minister Binyamin Netanyahu and Defense Minister Ehud Barak may have entertained of cooperation with the US for curtailing Iran’s nuclear designs by military force. The US president was crystal clear: By saying he will be ruled solely by American security interests, he showed them that they too were being left to be guided by Israel’s security interests. So forget about red lines for America, he was telling Netanyahu. His blunt verging-on-contemptuous dismissal of Israel’s concerns as “noise out there” was not much different from the way Iran’s leaders referred to the Jewish state. Their threats against Israel have different dimensions: On the one hand, they say that if Israel is even thinking of attacking Iran, it will be destroyed in a preemptive attack. On the other, Israel has neither the military capability nor the courage to strike Iran. Asked on CNN Sunday whether he feared a war with Israel was imminent, Iran’s president Mahmoud Ahmadinejad said: "The Zionists are very much, very adventuresome… They seek to fabricate new opportunities for themselves and their adventurous behaviors." The Iranian president had no need to explain how Iran would react, because the answer was broadcast ahead of his arrival in New York to address the UN General Assembly Thursday, by Brigadier General Amir Ali Hajizadeh, commander of the Revolutionary Guards missile section. The general said Sunday: Should Israel and Iran engage militarily, "nothing is predictable... and it will turn into World War III" Addressing Iran’s Arab-language network, he said, "In circumstances in which they (the Israelis) have prepared everything for an attack, it is possible that we will make a pre-emptive attack. Any Israeli strike would be presumed to be authorized by the US. Therefore, “we will definitely attackUS bases in Bahrain, Qatar and Afghanistan." Tehran was therefore pulling against Obama by tying American and Israeli security interests into an inextricable bundle. debkafile’s Jerusalem sources report that Netanyahu is now seriously considering calling off his trip to New York for a speech to the UN General Assembly scheduled for Thursday, Sept. 27. He realizes that by challenging US policy from the UN platform, he would lay himself open to criticism for gratuitous provocation of the president and interference in America’s election campaign weeks before a presidential election. As debkafile reported after that Obama snub, the wrangling with Washington has reduced Netanyahu’s options to start standing alone and making his own decisions. Obama’s latest words underline this. The prime minister can no longer avoid his most fateful decision and one that is critical to Israel’s survival: to attack Iran and disrupt its nuclear program or live with an anti-Semitic nuclear Iran dedicated to the destruction of the Jewish state and a threat to world stability. For two weeks, the Israeli prime minister has dodged and ducked around the White House message. Instead, he has kept on bombarding Washington with high-powered messengers. They all came back with the same tidings: the US President is not only fed up with Israeli pressure but more determined than evade any military engagement with Iran. You have entered into a very serious time upon your lands. I am a God of My Word, and I all will know that I am Almighty, all will know that I am the Lord God of the Universe. I am about to show Myself in a way in that there will be no question as to My existence. For all those that believe they are controlling their destinies, their plans and strategies, I will make Myself known very powerfully, and there will be no uncertainty as to who I am. I fulfill every word to the letter, and I move as I say I will move. Read My Word and you will know exactly what is coming upon the earth. I am seeing a very large number of ships while meditating, kind of like battleships in the ocean and the ocean is extremely violent and stormy and the waves are huge. But these ships are not moving one bit. I am seeing them having dropped their anchors, every one of them, very deep into the bottom of the ocean, and they are completely still in the water, unmovable and untouchable by the storms and huge waves. There is no logical reason why these ships are not being annihilated by the weather. Then I hear this interpretation. This is how you are to be from now on. You must drop your anchors deep, deep into Me, into My Word, and into My presence. Wrap yourselves so strongly into Me, that when the storms are fierce, you will not be swayed. I have promised to keep you from wrath, and I am a God of My Word. Know without the shadow of a doubt, that when grounded in Me, you are invincible! Much is getting ready to rage around you, but fear not My children, your root is the Source, and I, the Source, control all. You will not be touched, nor will you be harmed. Pray for My covering, My shield, and My seal of protection, and it shall be so, and you will have the power to tread on serpents and scorpions without harm. Pray for your loved ones, your families, and never, never take your focus off of Me. I can not emphasize this enough. You must look ever forward and up, do not look at what is occurring around you. Drop anchor, drop anchor NOW. I do not disappoint. It always amazes me how our God stretches and grows us, and how he increases our faith sometimes through the meekest of people. I want to share with you a story of faith, the kind of faith that we should all have, because we have been given so many examples, not only in the Word, but in the everyday situations all around us. The scene is a young man, a very beat up old car, a puppy, and a cardboard sign. How many times have we seen these type of scenarios in a parking lot, or at an intersection, or on the side of a road. Probably dozens. Our heart goes out initially to these souls, we feel a twinge of compassion, a sudden impulse to do something, anything, but immediately those thoughts are replaced with fear possibly, fear of danger, fear of moving out of our comfort zone, uncertainty that we are the ones who should respond, I mean, there out literally thousands of other cars driving by as well. Then the rationalization begins. What if that person is lying, what if they are just scamming the crowds to make a quick buck because they're lazy, they can't bother working like the rest of us. We think of the charities that we donate to or support, and say to ourselves, we already help people through these other organizations. We've already donated our quota for this week's check, or this month. And then the judging begins. Look at how they look. Look at all those tatoos and the long goatee. Wow, I wonder if that person even bathes. How dare they sit there and beg for money, there are jobs to be had, why can't they work like everybody else. Why don't they go to those big organizations that feed and shelter people that the government funds. Why do they have to sit there staring at us, making us feel guilty if we don't stop and give them something? Now be honest. Can you say truthfully that some or all of these thoughts don't go through your mind when confronted with these type of situations? Now, I introduce you to James. He is a young man, maybe very early twenties at the most, long goatee, crazy skull cap, bizarre looking tatoos all over his body. He and his puppy and sitting on the trunk of his car in the Sam's Club parking lot holding a sign that simply reads "Please help, ran out of gas, trying to get back home to Ohio." I know what you're thinking. I've seen that sign everywhere, they all say the same thing. So let me ask you. Would you stop? Would you dare to take a moment and find out a little about James? And why he is sitting there? Or are you willing to drive on by, just like all the other times, say a little prayer, asking God to bless James, and send someone to help him, just not you. My oldest daughter and I were faced with this situation last night, and sat there after pumping our gas, praying and asking the Holy Spirit what He would have us do. Now of course I hesitate approaching any man when I'm alone, or have my three beautiful daughters with me, because, like you, I know we live in a crazy and violent world. I'm very concerned of what could happen, or how we would defend ourselves in a dangerous situation. But this time, I felt different. I have been praying about Father increasing our faith, about Him moving us all out of our comfort zones in our little family, about Him using us powerfully to do His Kingdom work. And so, feeling empowered and confident that God would allow us to witness to this young man, we pulled up next to his car. What happened next has left an impact on my daughter and I that we will never forget. We were expecting to be the blessing, but God blew our socks off in the blessing we received after listening to James' story. I say hello and ask this man what his situation is. He quickly put his sign down, and smiles a big, bright smile, with such a look of peace you would never know he had next to nothing to call his own. "Thank you so much for stopping!" he expresses joyfully. He tells us how he found the puppy on the side of the interstate four months ago, and how she has been his best friend ever since. He had driven from Ohio to Miami to take a friend of his back home, a girl who had been abused by her boyfriend, and dumped, and was desperately trying to get back to her home in South Florida. The only thing he owned was a very beat up old Toyota. I asked him if he knew Jesus, and he got even more joyful, and looked me straight in the eyes and said, 'Yes I do, I have a relationship with Him and I can't live without Him. He takes care of me wherever I go. I know I'm covered in tatoos, and you wouldn't probably believe I'm a Christian when you look at me, but I am, and I'm not afraid to say that'. He then goes on to tell my daughter and I that it says in the book of Phillipians, that all of our needs will be provided. He tells us he prayed to God about making the trip and God assured him He would get Him there and back, that He had nothing to worry about. So, he leaves on interstate 95 driving south, gets the girl back to her parents house, then his little car's transmission blows. He has very little money with him, only enough for some gas and a bit of food for he and the puppy. He goes to a junkyard, finds a transmission that fits his car, and puts it on himself. Back on the road again. He makes it as far as Hwy 520 here in Cocoa, Florida, then realizes he is almost on empty, and he has to find help. He prays and tells God, 'Ok, you said you'd take care of me, and now I need help! To which God told him again, don't worry, I'll send people to help you along the way. All will be well. Make a sign and let Me take care of the rest.' He says someone had stopped that morning and fed him breakfast for which he was so grateful, and he thanked God for the meal. Then he sat all day on the trunk, waiting for God's next move.God did move, and he moved my daughter and I. We learned a big lesson on what faith really looks like. Not the kind of faith that assures us when or what we will eat next, or what we will do with the rest of the day. Not the kind of faith that keeps us cozy on our couches, with a roof over our heads and a decent car outside to drive that we know God has provided for us. Not the kind of faith that gives us the warm fuzzies, as we sit comfortably in our homes, thankful for the shelter we have, and grateful for that paycheck that we're positive we're getting on Friday. And certainly not the kind of faith that gives us comfort knowing we won't ever have to be 'uncomfortable' if we don't want to. These are not the things that faith is made of. I'm talking about real, concrete, unshaking faith, that if or when we lose everything, our God will always be our rock. The kind of faith that means nothing else but Him matters to us, and the willingness to give all for Him. If you only had the faith of a mustard seed My people! You would move mountains! You have been given so much, yet you cling to what you have and give of your surplus instead of your firstfruits! Think of the woman with the mites! She had nothing, pennies to her name, yet she gave her all as a sacrifice for Me, knowing with all of her heart that I would continue to provide for her every need! You have been given so much, especially you in America, but your hearts turn cold when presented with My poor, My lowly people. What have I spoken to you in My Word about this? It is the poor that I came for! It is the outcast, the rejected ones that aren't attractive that I came to minister to, and it is those that I expect you to love. You pray for hearts that are compassionate. You pray for Me to use you mightily for My Kingdom purposes, you pray for boldness and increases in your faith. I hear your prayers, and I do answer them. Just remember, what you have been given does not belong to you. All that is belongs to Me. To some I have given much to utilize in this life, and to some not so much. Either way, that is not the concern. What you should concern yourselves with is what you are doing with that which you have been given. To those who have been given much, I require much. I speak again to you today. Feed My sheep! Minister to My people! Do not expect to be used for My purposes if you are not willing to constantly and continually reach out to the lost and the hurting and the needy! I have placed them everywhere, and placed them strategically. Do not think for a moment that I do not know their hearts intimately or what they are going through. I have numbered the hairs on their heads as I have yours. You are no different than them. You are no better than those who have not been given much. Reach out My people! Reach out your arms of love, give of yourselves, show compassion, show mercy, as you look to Me for these very things daily. If you are ashamed of Me before those about you, I will not recognize you before My Father. Of this, I assure you. Teach them who I am. Talk about Me. Be that extension of Heaven they long for. And don't be surprised like this instance with the man James last night, that I would use someone like this to teach you a lesson. There is much work to be done My daughter in these days. So many to reach out to, and soon, oh so very soon, there will be so many more, so many needing a glimpse of Me. Stand in the purpose for which you were created. Retain your focus. It is not about you! It is about what can be done through you! This is so important. Much of the experiences you are now having in the world are not only preparing you for what is to come, but are also testing you to see where you are being placed in My army. I need leadership. I need those that are so strong, and so committed to My work, and My ways, that nothing else matters. Reach My children, reach out in My love. Today I would like to post this message from a dear brother in Yeshua who has the Great Joy in Great Tribulation website. Below is a very informative and important narrative on the Feast of Trumpets, yesterday and today, and what is expected of us His faithful remnant during this feast. Please take the time to read it and spend time with Yeshua, reviewing your iniquities and repenting for all the ways in which you have remained separate from our Creator. We will now look at the DAYS OF TESHUVAH, meaning the Days of Return or Days of Repentance. Babylonian captivity. The Jewish calendar changes from 5772 to 5773 on Monday September 17, 2012. There were 240 years DROPPED from the Jewish calendar in 135 AD, making this actually 6013 years since creation. Just as those alive at the end of the FOURTH Millennium who knew the Scriptures, knew it was time for the Messiah's First Coming. Today we all should know even much more clearly it is time for the Messiah's Second Coming, and that is EXACTLY what the Feast of Trumpets celebrates and observes. on Tshri 10 - on Yom Kippur – The Day of Atonement, this year September 26, 2012. We seek repentance especially in these 10 days, which we have NOW BEGUN and lead to a climax on the LAST day, Yom Kippur, the Day of Atonement. People who KNOW the Messiah should recognize how important it is to observe this Feast of the Lord, Who alone is our Atonement. The people of God should have ears to hear His call, to His people, to prepare our heart by seeking His grace in forgiveness, through Repentance. The 10 days starting with the Feast of Trumpets and ending with the Day of Atonement, or Yom Kippur, are known as the Days of Awe. How very awesome they do seem this year of 2012. The FEAST OF TRUMPETS (Rosh HaShanah or Yom Teruach) is a Biblical Feast of the Lord, which one may find in Num 29 and Lev 23, that begins on the first day ofthe seventh month, Tishri 1. Rosh Hashanah means "head of the year." According to Jewish tradition, it is said to be the day the gates of heaven are opened, (Rev 3:7-11). in Mat 24:36, and Mark 13:32.
book of the Law, Deuteronomy. coming year. Not biblically, not according to what God said, and even contradictory to what God said, the rabbis would have people believe the first day of the Seventh month to be first day of the new civil year. Hence, the typical Jewish greeting of Happy New Year, Shanah Tovah, have a good year. These 10 days are called the Days of Awe or High Holy Days. on the GJiGT list will NOT fail to hear the call of God to His people to be DILIGENTLY seeking His GRACE found and evidenced in REPENTANCE - NOW in this time when His door of Grace is still open. We do know that it will soon be as it was in the days of Noah when the door was closed by God. We can perhaps even see that door closing with increasing strong delusion and great apostasy. Isa 55:6-7Seek ye the LORD while he may be found, call ye upon him while he is near: Let the wicked forsake his way, and the unrighteous man his thoughts: and let him return unto the LORD, and he will have mercy upon him; and to our God, for he will abundantly pardon. Brethren, I must tell you there is a soon coming day when MANY will seek Him with cries and tears and it will be too late. AFTER the great tribulation Gog-Megog war, will be the end of Jacob's trouble, (Jer 30:7). Yes, that will be the end of the first or premillenial Gog-Magog War we now see FULLY SET UP. Immediately AFTER the great tribulation will be the resurrection, the rapture, and the return of the Lord, to start the millennial reign of King Yeshua. sealing angel of Ezekiel 9, Rev 7:2-3, and Rev 9:4, is sent forth to seal the people of God. regarding if it is like the Holy Spirit filled apostles, who would risk their life, twice a day, every day, AFTER Pentecost, to show RESPECT for the OBLATION Altar - OR - like the antichrist, who wants the OBLATION altar Stopped. (Dan 11:31, 12:11; Mt 24:15, Mk 13:14). That will be Judgment Day, or the Day of the Lord, (2Pet 3:10-13; Matt 25:31-34; 2Cor 5:10). That will be the day that Satan will be locked away for one thousand years. evident token of perdition, but to you of salvation, and that of God. On Elul 1(August or September - 6 months after Passover, which is the first month of Abib). This starts 30 days before the Feast of Trumpets. Feast of Trumpets is Tshri 1 (7th Month - September or October - in the 7th month. Remember Passover is in Abib, or Nissan, the first month) The days of Teshuvah, or days of Repentance, ends Tshri 10 - on Yom Kippur - Day of Atonement, (total of 40 days). The 40 days of Teshuvah, is a time of returning and repenting before The LORD. During those 40 days, and especially the last 10, and most particularly the LAST day of Yom Kippur, we prepare our heart by seeking forgiveness, through repentance. The last 10 days - the 10 days starting wth the Feast of Trumpets and ending with the Day of Atonement, or Yom Kippur, are known as the Days of Awe. On Tishri 1. Rosh HaShanah means "head of the year." According to Jewish tradition, on this day the gates of heaven are opened, (Rev 3:7-11). Tradition has it as the anniversary of the creation of the world and the beginning of the Kingdom of HaShem (God), Adam and Eve were created, the flood waters dried up, Enoch was taken by the LORD; Sarah, Rachel, and Samuel were conceived, Joseph was freed from prison by Pharaoh, forced labor of Hebrews in Egypt ended, Job contracted leprosy, the start of sacrifices on the altar built by Ezra. According to Jewish tradition all of those events happened on Tishri 1. The Feast of Trumpets is celebrated by blowing trumpets (shofar) 100 times to announce the setting up of The LORD's eternal court. The sounding of the shofar reminds us of the binding of Isaac by his father Abraham, and we too must be willing to make such sacrifices. On this day we reaffirm our acceptance of The LORD as our King, and He judges all of His human creatures on this day and decides on their fate in the coming year. It is the first month of the new civil year. These 10 days are called the Days of Awe or High Holy Days. This was also the time to bring all of your tithe (10th) for the poor, widows, orphans, and the Levite priest who have no inheritance. Over these 10 days the wheat will be brought in on the threshing floor and separated from the chaff. This 2-day feast comes AT A DAY AND HOUR NO MAN KNOWS and you are not required to go up to the temple on this day. a. 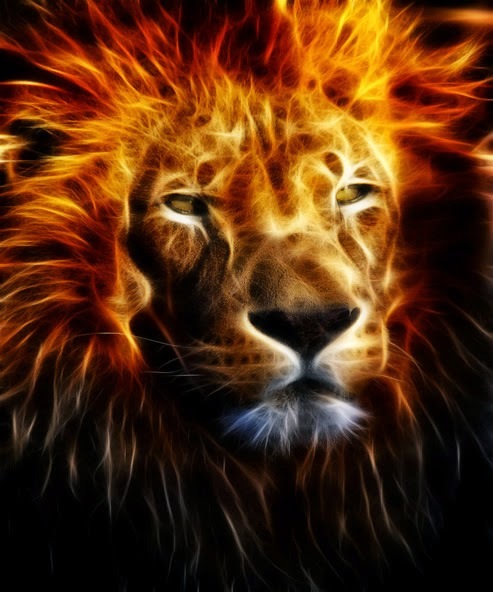 This is the day set up to remember the blowing of trumpets when the great sign appeared in the heavens of the announcement of Yeshua’s birth (Lion of Judah), which the Chaldean astronomers had been watching, and waiting for, for over four hundred years, (Rev.12:1-2). b. Will be the announcement of Yeshua’s second coming and the Resurrection of the Saints, (IThess 4:16,17). c. Will be the end of Jacob’s trouble, (Jer 30:7). d. Will be the end of first Gog Magog War at the start of the millennial reign of King Yeshua. On Tishri 10. Will end the 70th week of Daniel 9, and the culmination of the prophecy of Daniel. It is the final day of the 10 Days of Awe. This is the most solemn and holy day in the Jewish year and is spent Fasting, Praying, and Confession of Sins. Yom Kippur is the only REQUIRED FAST day of the year, in the Holy Bible. Yom Kippur is the day the chaff was burned up on the threshing floor on the temple mount, and this is the day the gates of heaven are closed, (Rev 3:7-11), and those who are not atoned for, will be judged. According to ancient Jewish tradition, this is the day when the sealing angel of Ezekiel 9, Rev 7:2-3, and Rev 9:4, is sent forth to seal the people of God. a. Originally this was the only day of the year, that the high priest could enter the veil, into the Holy of Holies, to make atonement for the sins of the nation, by sacrificing an animal and placing 7 drops of blood on the east end of the top of the ark of the covenant, or mercy seat. b. This was the day the transfiguration took place with Moses and Elijah, representing the Torah and the Prophets, and the day Yeshua’s ministry was confirmed after the order of Melchizedek. c. This also may be the day of the abomination and desolation, when the ANTICHRIST will STOP the OBLATION Altar. God will judge every human heart, regarding if it is like the Holy Spirit filled apostles, who would risk their life, twice a day, every day, AFTER Pentecost, to show RESPECT for the OBLATION Altar - OR - like the antichrist, who wants the OBLATION altar Stopped. (Dan 11:31, 12:11; Mt 24:15, Mk 13:14). d. Will be Judgment Day, or the Day of the Lord, (2Pet 3:10-13; Matt 25:31-34; 2Cor 5:10). e. The day Satan will be locked away for one thousand years. Go and tell my people how very much I love them. I desire nothing more than fellowship and communion with you all of the time. I long to spend time with you, talking with you, walking with you through this life and your daily responsibilities. Can you not feel My presence? When invited, I walk hand in hand with you, holding you, comforting you, speaking the things to you that you need to hear for each day ahead. I go before you in all situations, and prepare your way before you even take a step. You are My chosen, and there is nothing that will or could stop Me from being everything for you, your Comforter, your Guide, your Protector, your Love. I am pouring out my anointing upon you, and it covers you completely, bathing you in My glory, and sealing you from the world. I have told you many times, you are not of this world, as you are Kingdom heirs, and this earth is not your home. Seek My Kingdom and all that it encompasses, and all else will be placed at your feet. You have at your disposal multitudes of angels, always eager to assist you in your requests. Simply ask, and they are positioned for you. I desire for you to look only to Me and the things that Heaven is about at this time, not the world events and the enemies plans being carried out on this earth. He would like nothing more than to take your focus off of the Kingdom, and have you anxious over what is occurring in the physical realm. Remember, these things must occur as I will continue to appeal to those whose hearts are hardened to me. You however are not reserved to My anger and wrath. I will bring you through all of these events, and you will witness Me in all of My glory on this earth. There is so much joy awaiting you! There is much preparation being done here, as the feast of our Wedding together is to take place shortly! I am eager to share your new name with each of you, and to fellowship with you at My Table. I have created all of the beauty of this world for each one of you. I love you this much! Enjoy this that I have given to you, My gift to My people. It is possible to have immense joy, in the middle of tribulation, because your desire is Me! And My desire is you! Grasp this My beloved, and you will know such peace! My grace is sufficient for EVERY circumstance, no matter how it appears. Get a Heavenly perspective! Not a worldly one. I will sharpen your senses, and you will know what is occurring in the spiritual realm, if you only spend time with Me and ask Me to enlighten you. I will not leave you confused or uncertain or in fear. You will know My plans and walk in them in authority. I am thinking of My pure and spotless Bride, and I am filled with joy and love over you! I am eager for our union for eternity! I have much to share with you. Desire Me! Yearn for Me! Reach out for Me always! Hold fast to Me! Breathe Me! Set your eyes upon Me! Eternity awaits you!